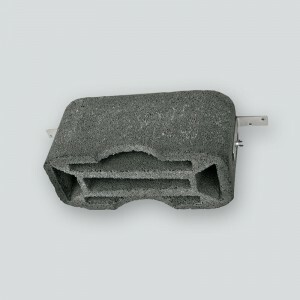 With this entrance block it is possible to integrate the 1FTH and 2FTH directly into the masonry or the insulation. 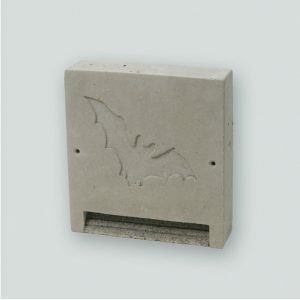 Due to the Main Cavity beneath the roost it is still possible to access all roost chambers. Thanks to the droppings chute, droppings usually dry before they fall out. Therefore, soiling of the façade is largely avoided. This Main Cavity is set under the 1FTH/2FTH for bricking in. 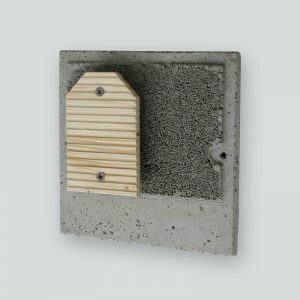 To integrate the 1FTH/2FTH roost into the external thermal insulation composite system, it can also be fixed onto the wall using the fixing bracket and the Main Cavity is then placed on, or rather it is glued or bricked into, the insulation. 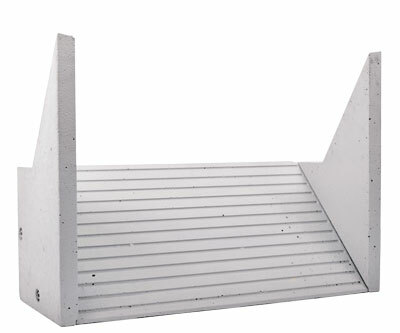 By installing the 1FTH/2FTH together with the Main Cavity, very inconspicuous solutions can be achieved, e.g. 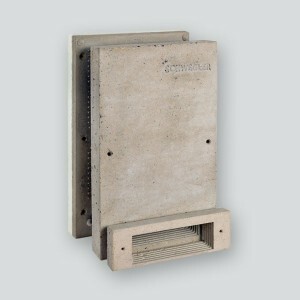 in building conservation structures or especially designed façades. Outer dimension: Main Cavity only: approx. W 50 cm x H 36 cm x D 19.5 cm. 1FTH/2FTH with Main Cavity: approx. W 50 x H 90 x D 19.5 cm. 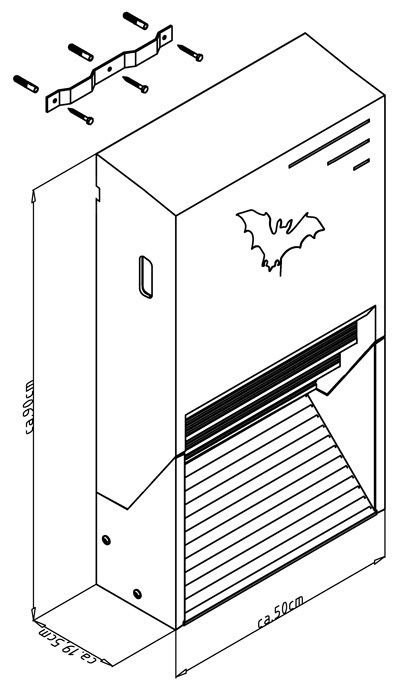 Weight: Main Cavity approx. 9 kg. 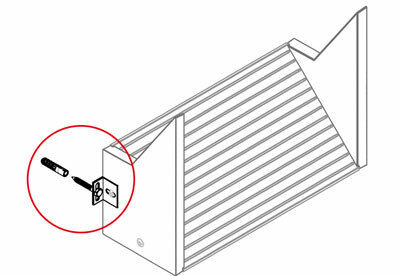 An optional Bracket Kit is available for additional fixing on the wall. Is used, e.g. 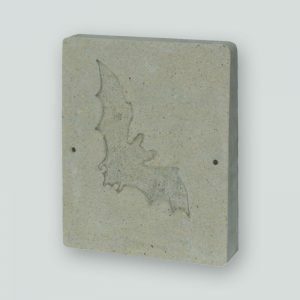 on thermal insulation in order to fix the FTH Bat Box with Main Cavity on the concrete wall / masonry and then to attach the ETICS system. Bracket Kit cannot be used for side-by-side row. Items supplied: 2 angle brackets, screws, universal wall plugs.